Trying to get a bottle of Clearwater Ice, Fire or Air for your next party? For every bottle sold, a portion of the proceeds will provide clean drinking water to someone in need. 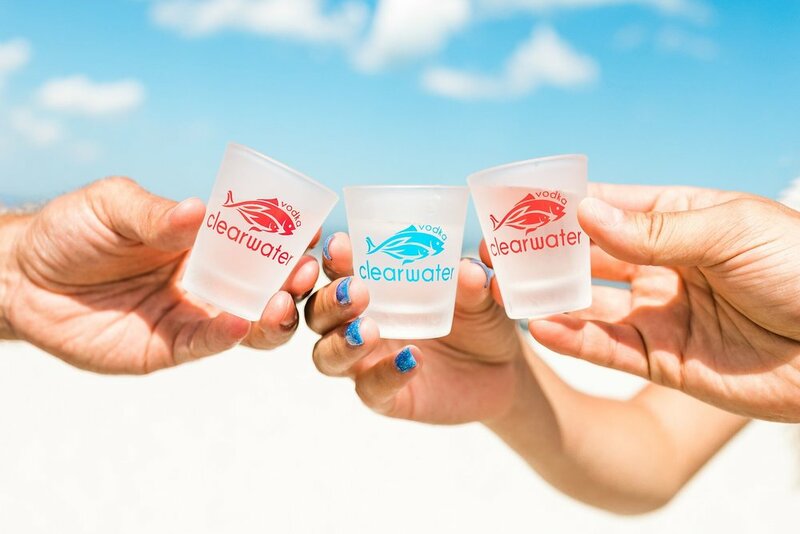 Clearwater Vodka made it's debut in 2017, offering a unique and smooth take on flavored vodkas. With our low sugar intake and our smooth recipe, our vodkas are great to make a cocktail and are easy to shoot, making your next morning less shaky. We offer 3 unique vodkas - Clearwater Air, Clearwater Fire and Clearwater Ice. All of our products are distilled with our secret, smooth vodka recipe and are distilled, bottled and shipped from Dallas, Texas. All of our products are 100% Gluten-Free. Available for purchase in hundreds of liquor stores across Alabama, Florida and Georgia.